His vomiting was so violent and went on for so long that we feared we might lose him [from methane poisoning]. We had never seen Brian so ill. With our son and his family, we moved here from Victoria. What was once a dream come true has turned into a nightmare. Meanwhile, Carol was showing journalists the sores on her grandchildren, a result of bathing in water from the bore. About two years earlier, all three generations of the once-healthy Monk family had started experiencing severe headaches, nosebleeds, numbness and tingling, and now one of the children has epilepsy. The deterioration of the family’s health began not long after their area – the Tara region in Queensland’s Darling Downs – began to change from a mostly agricultural district to an industrialised energy hub. Brian and Carol Monk, and their son David and his family, live on a Queensland property about three hours drive west of Brisbane. The flaming bore is in the centre of their yard, a stone’s throw from the kitchen door. Their front porch once looked out to native bush and scrub; now it looks onto to a gas pipeline. The region is now littered with mines, gas wells, power and compressor stations and transmission towers. The pipeline running past the Monks’ place is roughly 500 kilometres long and carries gas all the way to Gladstone Harbour, from where it is exported as LNG (liquefied natural gas). Ironically, environment laws forbid the Monks and their neighbouring farmers from clearing the land that the pipeline occupies. Yet the foreign-owned companies mining coal and coal-seam gas were exempt from those same environment protection measures. 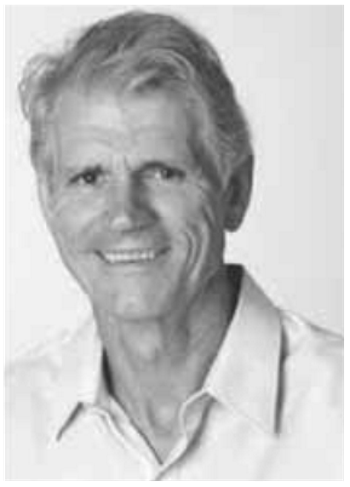 Drew Hutton, the president of the Lock the Gate Alliance, had arranged for the media to film the Monks’ flaming water bore. He had grown up not far from Brian and Carol’s family property, in the town of Chinchilla. The town is on a tributary of the Condamine River, part of the mighty Murray– Darling system. As in so many other rural towns in eastern Australia, ‘unconventional’ or coal-seam gas exploration has been devastating the land, and shredding the fabric of the community.